You grew up in Japan, but studied in London and have since gone on to perform all over the world. Can you tell us a bit more about your musical background? My grandfather (my mother’s side) was a great classical music lover and every weekend at the family-get-together since I was a baby, I used to listen to LPs of all the major violin concertos. From this very early introduction to classical music, I have never thought of any other profession than as a violinist. At my grandparents at the weekends, when my mother was trying to make me have an afternoon nap, she always play the LP of Schubert’s string quartet “ Death and Maiden “. When she let me listen to this, I always knew I was going to be left on my own while everybody else was together in the other room. I was only 2 years old. However, this memory stays very clear in my mind, and I still feel the same loneliness whenever I listen to this quartet! 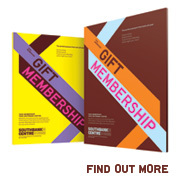 What are you particularly looking forward to about your forthcoming concert at Southbank Centre? It is first time for me to perform at the Purcell Room, and I am very excited about it, as ever since I came to England and attended concerts at the Southbank Centre, I was saying to myself that I want to perform in this small and intimate hall in the future. I always imagine what would happen if I could speak French and German when I woke up next morning! It took 14 years for me to learn English, so I really wish I had a talent for languages! Currently it is Henryk Szeryng playing Handel’s Sonata in D. His playing is really heavenly. I always stretch out my legs like a Sumo wrestler before wearing my concert dress. This action is called “Matawari “in the Sumo world, and is very important in preparation for the fight! We are a very limited number of tickets available at 50% discount. Simply quote the word ‘MAYUKO’ over the phone or online into the promo-code box on the event page before choosing your seats. On 26th September, we welcome two extremely talented Japanese musicians, Mayuko Katsumura and Noriko Kawai, to Southbank Centre’s Purcell Room. Violinist Mayuko, a major prize winner in national music competitions in Japan, will be performing alongside Noriko Kawai on the piano. 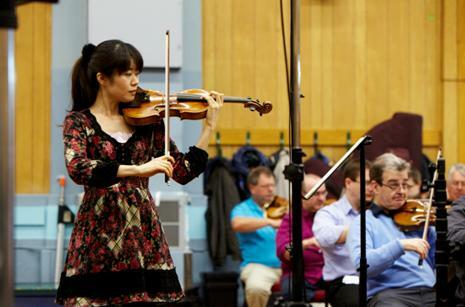 For a sneak preview of what’s in store, you can listen to this audio clip of Mayuko performing a 2nd movement of the Shostakovich Violin Concerto no.1 with the London Symphony Orchestra at Abbey Road Studios in March earlier this year. Listen to Mayuko Katsumura – live at Abbey Road studio. Violinist Pekka Kuusisto talks to Britten Sinfonia about his blowtorch skills and cephalopod ambitions. Britten Sinfonia welcomes back the violinist Pekka Kuusisto as rehearsals begin for the Concentric Paths tour with composer, pianist and conductor Thomas Adès. Pekka has worked with Britten Sinfonia a number of times before but ahead of this tour they asked him a few questions to help us all get to know him better! Playing in the forest surrounding Sibelius’ home, dressed up as a spruce. At about 3 p.m. on most days. The end of the world, I guess. Listening to Rasputin by Boney M.
Barack Obama. He is facing a giant political machine that gets a lot of its fuel from ignorance – and still manages to send a message that it’s useful to actually know stuff. A squid. A giant one. Imagine the ease of playing Paganini things with all those tentacles. Singing Coldplay tunes while accompanying myself with arpeggiator synths. For instance by singing Coldplay tunes while accompanying myself with arpeggiator synths. Caramelising the top of Crème Brûlée with a blowtorch and getting it right the first time. Pekka performs Thomas Adès Concerto for Violin (Concentric Paths) with Britten Sinfonia at Southbank Centre’s Queen Elizabeth Hall on Monday 27 February. Click here for more details and to book tickets. Horn soloist Anneke Scott talks about the program of her forthcoming concert with Kathryn Cok at Southbank Centre’s Purcell Room. Anneke Scott & Kathryn Cok will perform at Southbank Centre’s Purcell Room on Monday 5 March. Sapporo Symphony Orchestra have announced that their Royal Festival Hall concert on Monday 23 May will be in aid of victims of the Japanese earthquake and tsunami. The orchestra’s players and tour management will not take any payment for the performance, and all ticket proceeds will be shared between the Japanese Red Cross Society and Japan Society Tohoku Earthquake Relief Fund. They perform a beautiful programme: Takmitsu’s How slow the wind, Bruch’s Violin Concerto No.1, and Shostakovich’s Symphony No.5, under conductor Tadaaki Otaka. Julia Fischer and Martin Helmchen previously recorded and toured the complete violin and piano works of Schubert. This time they’re tackling Schumann on a three-date tour, including Southbank Centre’s Queen Elizabeth Hall on Monday 29 November. Of the five composers Fischer mentions however, Schumann is the least renowned as a composer of violin music. 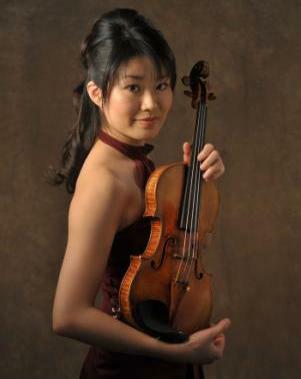 She acknowledges that his three violin sonatas are relative rarities: ‘The Schumann violin sonatas are underestimated and not often enough performed in concert.’ This is not, she says, because Schumann is a difficult composer, as is so often suggested. ‘It is not true that musicians and audiences find Schumann’s music awkward, because in his output you find some of the canon’s most popular works – the piano concerto, cello concerto and lieder,’ she says. Will Fischer and Helmchen dedicate a whole disc to Schumann too? ‘We will work on that,’ is all she will give away. 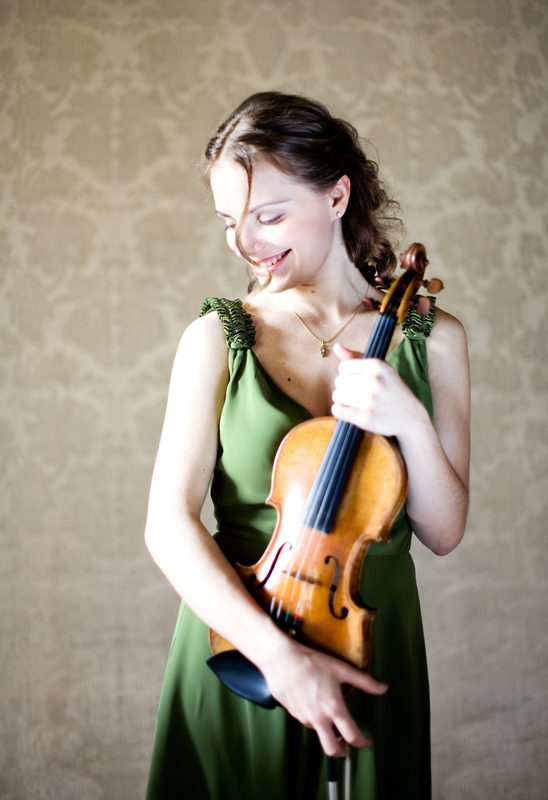 Click here to book for Julia Fischer and Martin Helmchen’s 29 November recital.